Oct. 6 won’t be a pretty day. That’s the day U.S. District Judge James Zagel of Chicago has set for sentencing for the ever-chatty ex-Ill. Gov. Rod Blagojevich, according to court records. 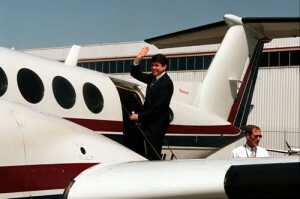 In his retrial, Blago was convicted of 17 or 20 counts. He alos faces sentencing for the one count he was convicted of his first trial — laying to the FBI. “There doesn’t seem to be anything new,” he said. Sheldon Sorosky, one of Blagojevich’s attorneys, hinted outside of court the defense at sentencing would raise Blago’s contributions to the state and the fact two daughters depend on him. “He cared for the ordinary guy,” Sorosky said, according to the Trib. Posted: 8/1/11 at 11:03 PM under FBI, News Story.